Updated Thursday January 10, 2019 by fhll. The Fountain Hills Little league season begins with Registration starting in December and Player Evaluations in January/February. Games begin in March and will be played through May. 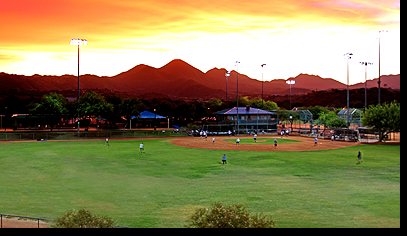 The Fountain Hills Little League welcomes Boys and Girls aged 5 to 14 to register to play Baseball or Softball. For the 2019 Season a Baseball Player must be 5 years of age by August 31st, 2019 and a Girls Softball Player must be 8 years of age by January 1st, 2019 to register. There are many Volunteer opportunities each season and welcome all members of the Fountain Hills Community. Volunteers are needed for Concessions, Team Managers, Coaches, Umpires and Junior Umpires (Aged 14-16). High school aged kids can earn Community Hours. For more information on please click on the different links from our Main Menu.